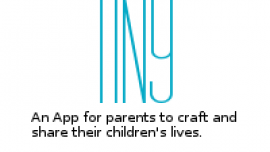 An App for parents to craft and share their children’s lives. This tiny app helps parents discover, organize and share plans for their children in one place. Search and discover activities and venues (by day or category). Share lists that can be easily updated. Create Calendars to keep track of events and appointments. This tiny app is private, but it allow parents to share activities and schedules with other family members, friends or caregivers. This private space can be shared as well by invitation, letting loved ones be updated on the children’s memorable moments and activities. 1. The Children will be listed on the main screen of the application. There will be a small profile (something like Path, where all the events are linear), that will be accesed once the parent tap on the name of the child. 2. The Calendar will show events that the parents have added. These events will trigger alarms, and change of status for both parents. 3. The lists can be edited at any time, letting know the other part when something has changed. 4. Parents can also create the memorable moments by adding images. There's an idea of adding notes, voice notes and/or video. 5. 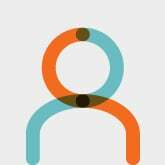 The search will allow the parents to explore the venues and events around them, and also search by category. Events will be added to the calendar, once a parent selects one, or saved in a list.